RBC and digital innovation RBC continues to evolve into a digitally-enabled relationship bank, focused on providing clients with an exceptional and secure experience that’s available when, how and where it’s most convenient for them. Through co-creation work with our clients and our employees in our RBC innovation labs, we’re building digital capabilities to be more convenient, more seamless and more personalized for our clients, to help them manage their day-to-day finances and reach their financial goals. Innovations such NOMI, with its related NOMI Insights and NOMI Find & Save, are provided to clients through our RBC Mobile app, which was recently awarded the Highest in Customer Satisfaction Among Canadian Mobile Banking Apps by the J.D. Power inaugural 2017 Canadian Banking Mobile App Satisfaction Study. RBC has seen an increase of more than 20 per cent in active mobile users over the past year, a clear indication that more Canadians are using the RBC Mobile app to bank whenever and wherever they want. The RBC Mobile app is available for free download from the App Store on iPhone and iPad or at www.AppStore.com. 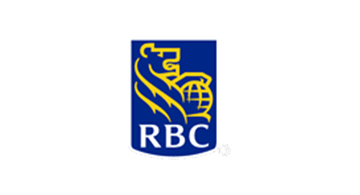 For more information about the RBC Mobile app, please visit www.rbcroyalbank.com/mobile About RBC Royal Bank of Canada is Canada’s largest bank, and one of the largest banks in the world, based on market capitalization. We are one of North America’s leading diversified financial services companies, and provide personal and commercial banking, wealth management, insurance, investor services and capital markets products and services on a global basis. We have approximately 81,000 full- and part-time employees who serve more than 16 million personal, business, public sector and institutional clients through offices in Canada, the U.S. and 35 other countries. For more information, please visit rbc.com.‎ RBC helps communities prosper, supporting a broad range of community initiatives through donations, community investments and employee volunteer activities.